Scribie Review: A Scam Or A Legit Job Opportunity To Make Money? One of the opportunities to make money online that you will encounter is being an audio transcriptionist. It’s basically converting audio files into words. Scribie is one website that offers such an opportunity. The company will pay you to do audio transcription work in the comfort of your own home. You will get paid in cash for every file you transcribe. Scribie pays less than the other audio transcription opportunities but you can still likely make about $2 to $5 a day with this opportunity. But is this really a legit job opportunity or is it just a scam? The Scribie website was developed by CGBiz Corporation as a site to provide high-quality transcripts. They hire home-based freelancers like you to transcribe the audio files into words. You will be paid per transcription work that you complete. Based on what the company promises and on my initial impression of the website, I can say it is a legitimate opportunity. 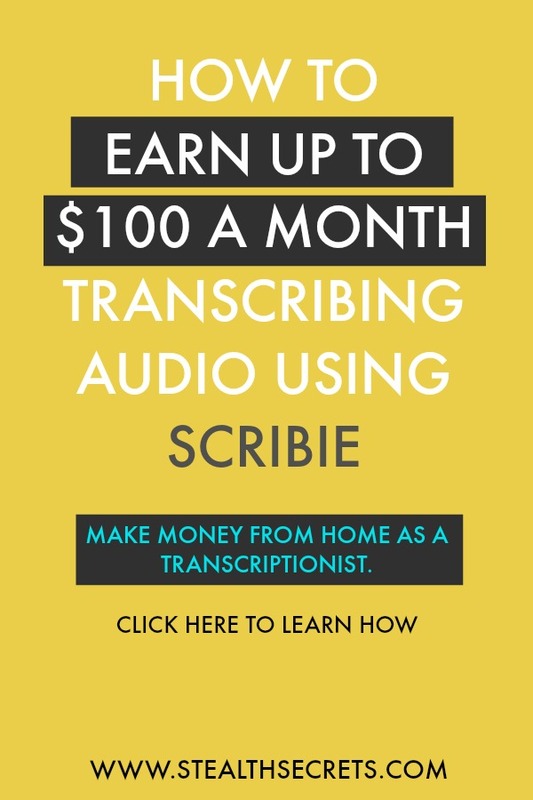 Scribie does provide you with an opportunity to make money as an audio transcriptionist in the comfort of your own home. All the work is done through the internet, so there’s no need to go to an office. The company has so far delivered on its payments to its members, provided the work has been completed and it has passed the quality review of Scribie. The company has also sent the money via the members’ PayPal accounts, and there have been very little complaints about delayed payments or not getting paid at all. As for the earnings, there are several audio files available on the website. You will see, as we continue further with this review, why it is possible to make at least $3 a day with this opportunity. Who is the Scribie website Made For? The Scribie website is designed to be used by two groups of people with one being businesses and individuals who have audio files that they want to be transcribed to a word file. The other group are people like you who are looking for opportunities to make some money online and don’t mind doing transcription work. For businesses and individuals, Scribie provides them an opportunity to get their transcription work completed at a high quality. The company promises to deliver high-quality transcription work, making sure that only qualified people will be doing the transcription work of their clients. This assures businesses and individuals that they will only receive the best service and quality from Scribie, ensuring their audio files are converted into word file properly. For people like you, the company provides you with a flexible work opportunity that you can do in the comfort of your own home. Scribie doesn’t require any specific working hours, so you are free to log in anytime and take on the available transcription work when you feel like it. Everything is also done via the internet, so there’s no need for you to go to any physical office. The application process to get hired is simple, and the company is willing to accept people who don’t have experience. You just need to pass a test to show that you’re capable of doing the work and you will be hired. Applying is free to do, so you won’t need to worry about any application fees. How Do You Make Money with Scribie? The Scribie website only has one way of making money, and that is doing audio transcription work. 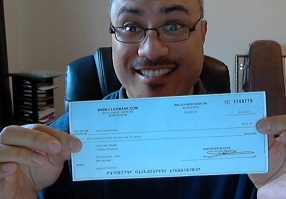 The company will pay you in cash for every audio file that you successfully and completely transcribe. Your money will be sent to your account and once it has $1, you can request for a PayPal transfer and it will be credited within 24 hours. The beauty of Scribie is that it doesn’t have requirements on how many hours a day or a week you should log in to the site or how many files you should transcribe in order to earn. The company offers a very flexible schedule, as you can log-in anytime and do the available transcription work when you feel like it. As for payment, Scribie will pay $5 to $25 per hour of transcription work. This doesn’t mean you get paid per hour, it means you get paid for the length of the audio file that you have transcribed. For example, if you are able to completely transcribe 30-minutes worth of audio file, the work done is worth $2.50, if you’re looking at the starting rate. Now, all of the files in Scribie are not that long, as they are all either 6 minutes or less. This means that one 6-minute long audio file will be worth $0.5 to $2. Six minutes may not sound that long, but if you are new to transcribing, completing the audio file might take about 20 to 30 minutes of your time. So if you only plan to spend about 2 to 3 hours a day with this opportunity, you are likely to earn $1 to $3 a day. Scribie does require that the transcript should be around 98% to 100% accurate. Difficult files, meaning those with background noise, non-native accent speakers, and so on, will likely have a lower accuracy rate. Now, the company has ways to allow you to earn more money. You will be graded for every transcription you submit and you can be promoted if you do a good job. The first level would be the Reviewer, which means not only will you earn money for transcribing, but also from reviewing other transcription work. This means you can double what you’re getting. The next level will be Self-Reviewer, which means you can also review your own transcription work, in addition to reviewing others work and also doing your own transcription work. With this level, you will likely earn almost triple, since the company will pay you for 3 levels of work, your transcriptions and reviewing your transcriptions, as well as others transcriptions. Scribie also offers a bonus every time you are able to complete 3 hours of audio files in a month. The company also has a referral program, but you will need to be a certified transcriber to get commissions. Your money can be withdrawn via PayPal and you can request a withdrawal for as low as $1. Take note, though, that there might be some penalties for withdrawing money that is less than $30. To be a transcriber, you just need to apply on the Scribie website. Fill up the needed information and submit your application form. If they like your profile, they will contact you for the application test. The test will likely see if you are able to perform the transcription job. If you pass, you will be paid for the test and the company will accept you to be one of their transcribers. If you fail, you can retake the test up to 10 times. Scribie will return the test with some marks and suggestions on how you can improve to help you pass the next test. The opportunity is available worldwide. Now that we have more information about Scribie and how it works, it’s time to discuss what I liked about the opportunity it provides. The first thing that I liked about Scribie is that the job is very flexible. The company doesn’t have a requirement when it comes to how much time you need to be online or when you need to be online. There’s also no requirement to how many files you would need to complete in a week or month in order to earn money. This makes it easier for you to schedule when you want to work and how much time you want to spend working for Scribie. I also like that Scribie has a low payout, as you can request for your money to be withdrawn via PayPal once it reaches $1. This means you can get your money to your PayPal account after completing one audio file. It’s also good that the audio files in Scribie are not that long, as you will usually work on a file that is only 6-minutes long. Though you will likely spend some time doing it, it is still easier compared to completing an audio file that is 10 minutes long or more. As appealing as the opportunity that Scribie provides, there is one thing that I didn’t like about the opportunity. My issue with Scribie is that the pay they offer is low, compared to other transcription jobs. The company will only pay you $5 as a starting rate per one hour of audio file. This is one of the lowest rates in the market, as some pay about $10 to $15 per audio hour as a starting rate. Is Scribie to be Recommended? After learning more about Scribie and what it does, I can say that it is an opportunity that I can recommend. The opportunity that the company offers is a good one, even if they pay one of the lowest rates in the market. The flexibility that they offer is something that is hard to pass up. You don’t need to be online during a certain time period nor do you need to complete a certain number of files transcribed before you get paid. This makes it easier for you to schedule when you want to work for Scribie and how much work you will do. If you’re good, you will also have a chance to earn more. The company will allow you to be a reviewer of other’s work, as well as your own work, effectively giving you another option to make money. Of course, the number of audio files you complete will determine how much money you can make. Spending 2 to 3 hours per day on Scribie can likely earn you $2 to $5 a day. It can go higher, especially if your rate increases or you are given more work to do, especially after getting a promotion. It is important to note, though, that transcription work is not an easy job to do. A 6-minute audio file will likely take you 20 to 30 minutes to complete, especially if you have no prior experience. But as you get more experience, the time you spend on completing a file will begin to lessen, allowing you to complete more work within the time you will spend on this. If you think transcription work is something you can do, then you can check out Scribie. ScreenPay App Review: A Legit Way To Earn With Your Mobile Device Or A Scam? Shopper’s Voice Review: A Scam That Will Waste Your Time Or A Legit Opportunity?